4. What Is Take Profit? 5. What Is Stop Loss? 10. 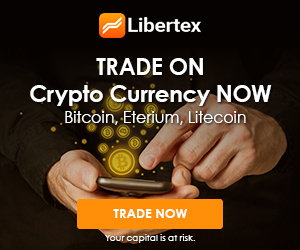 Why Do Professional Traders Use Libertex Mobile? 11. When Do I start Trading with Real money? 12. What Deposit Amount to Start with? 15. What are Japanese Candlesticks? 17. How to Increase Trade Amount? Let’s assume that whilst you were on vacation, there was news that the unemployment rate in the US had dropped and the US dollar rate had increased by 5%. When you returned home, you changed the US dollars back to your local currency and noticed that you made a 5% profit. 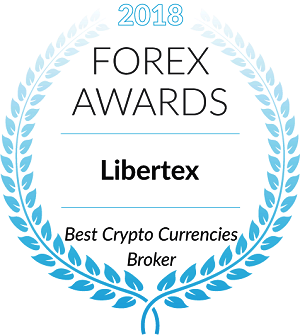 Professional traders make similar trades, however, instead of taking place in a currency exchange booth at the airport, they take place through the easy to use online Libertex platform, on their mobile phones, tablets and PC’s. Traders also learn how to predict price movements, in order to earn money on a regular basis. 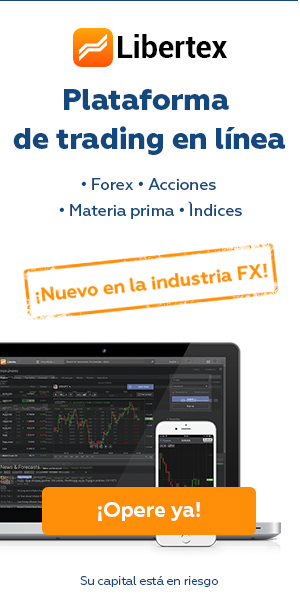 Let’s see together how you can earn by trading in financial markets. 1. Select EUR/USD from the asset list and open a buy trade. Let’s invest $500 with a 100 multiplier as an example. 2. Open another trade with USD/CHF as an asset, use the same multiplier and the same investment amount. 3. Once both trades are open, wait for 5 minutes while watching your trades’ result. 4. When the first trade profit exceeds the second trade losses, or both trades are in the money, close both to lock in your profit. If you have opened both trades as explained here and still can’t see any profit, don’t worry. If the market is calm, you might not see a change, so leave it open a while. In our case, USD/CHF profit exceeds the EUR/USD loss. Let’s close both trades to get some income on the account. We’ve just earned profit on USD/CHF in only a few minutes, with no analysis whatsoever. A Multiplier is one of the major tools in Professional traders. It allows you to increase your trade’s profit potential. Let’s assume you buy EUR/USD, your investment amount is $50, and your multiplier is one. If the price goes up 10%, your profit will be $5 ($50 x 10%). However if instead of one you specify 20 as a multiplier your investment amount will rise to $1,000 ($50×20). As you can see, your profit has been multiplied by 20, and this is how the multiplier works. This is like the speed of a car: the greater it is, the faster you reach your destination. However, high speed brings with it more risk. This is why every car driver chooses a speed which is good for themselves depending on their experience, road surface condition and the traffic code. For novice traders, we recommend using a minimum multiplier, which equals 1, in order to avoid risks in case the market moves against you. As you acquire skills and experience, you can also increase your multiplier. Continue to the next lesson to learn how to effectively manage your risks using the Stop Loss order. Take Profit is a pending order that automatically locks-in a trader’s profit. • Lets imagine you want to leave a trade open a for a few hours and cannot be constantly monitoring the price movement. In this case, you simply place a Take Profit order and rest assured whilst you head off to watch a movie. • Let’s imagine that whilst you are watching the movie the asset’s price moves in a favorable manner. A Take Profit order placed in advance will lock-in your gain by automatically closing your position, once the asset reaches a favorable rate, so you make a profit whilst you watch your movie. • Check the chart for the asset’s price most recent peak. In our case, it’s 1.0745. Now you don’t have to worry about the asset’s price changes nor will you have to spend hours monitoring your charts. When your target profit level has been reached, your trade will close automatically, and your earnings will be immediately deposited to your trading account. • To place a Stop-Loss order correctly, check the chart for the asset’s price most recent decline. Find the minimal price. Crude prices are changing constantly, they are influenced by OPEC decisions, Middle East conflicts, production boosts in Iran and many other factors. As an example, let’s take news published in January 2016: Russia and OPEC to Cut Down Crude Oil Production to Stop the Sell-off. On February 16, 2016, OPEC and Russia succeeded indeed in freezing crude production. On February 17, crude oil price jumped from $32.29 to $34.31 (6.3%). For the next 20 days, the price kept on rising, and on March 7, it reached $40.76, a rise of 26.2%. Breaking news including important announcements and agreements show up every day. One can watch them on TV or online. Such economic events can be regarded as trading signals; by analyzing them, you can predict whether the price will be rise or fall. Making trades through this approach is commonly known as fundamental analysis. A long expected event, such as a release of a new iPhone, iPad, or MacBook, can cause long queues in stores. This demand, in turn, may influence a dramatic rise in the price of Apple stocks. This presents a great earning opportunity for any successful trader. Let’s take an example. On September 7, 2016, the new iPhone 7 was presented to the public. The very same day, Apple stocks rose from $107 to $115. This event was covered on all news portals, so everyone (most likely, including you) would have known about it. Such pieces of news regarding most popular brands, products and services (Facebook, Microsoft, Google, Tesla, etc.) are released daily, online and on TV. Each of these events is a trading signal that can help you to make a decent profit. Trades based on news and events are commonly referred to as fundamental analysis, one of the most popular trading strategies. To take informed trading decisions, such as whether to buy or to sell an asset, you need to analyze market prices. For your convenience, these prices are visualized in the form of charts. If you plot an atmospheric temperature chart to two decimal points, you will clearly see periods when the temperature was stable, i.e. when it fluctuated in a tight range between seasons and then increased sharply in summer and decreased in winter. What happened in the past will also happen in the future – this concept is as applicable to temperatures as it is to the financial markets. This is actually the essence of technical analysis. Let’s take one of the most popular tech analysis tools, Support and Resistance, as an example. When the price goes up and suddenly reverses direction, as if hitting a wall, it’s time to sell. When the price falls and then suddenly bounces up, like a ball bounces up off the floor, it’s a good signal to go long. Using our trading platform, you can plot additional lines on a chart to detect reversals, or use indicators that give you buy and sell signals. To trade successfully and securely, just follow these three Golden Rules! Always use trend trading. Remember the saying: The Trend is your friend! If you see the price is clearly moving in a certain direction, trade this way. It’s always easier to run with the wind! Let your profits grow, while limiting your losses. Your profits must exceed your losses, it’s that simple! It is the same as in real life: earn more, spend less. Your risk/reward ratio should be 1:2… or more! Here’s the third rule: Manage your money. When you’re just starting to trade, use investment amounts and multipliers, so that you may not risk more than 2% of your account balance. This way, an unsuccessful trade would be cheaper than a bus ticket. For your convenience, we’ve developed Trader Tracker, a very handy tool that will help you stick to these rules while you’re making your first steps as a trader. To trade successfully, you need to thoroughly analyze markets and react swiftly to the signals they are sending your way. The Libertex Web terminal will help you with analysis, whilst the Libertex Mobile App makes sure you won’t miss any trading opportunity. 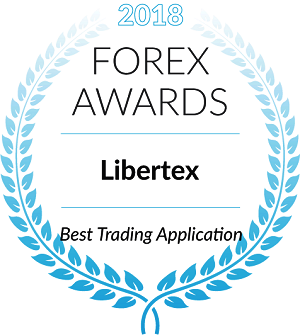 Over 80% of successful traders use both the Libertex Web terminal and the Libertex Mobile app. Try to imagine the following scenario: you have successfully run your market analysis in the Libertex Web terminal and have decided to open a trade, but then you had to leave your desk and got stuck in a traffic jam, or perhaps you went to see a movie or went to visit a friend. By using the Libertex Mobile app you can swiftly react to all price movements whilst being far away from your desktop, i.e. you can trade on the go, anytime, anywhere. With the Libertex Mobile app, you can edit open positions, as well as open new trades and monitor your results in real time. This is especially useful when the overall market situation is already clear to you. When you want to spend time in analysis, making key decisions, the Libertex Web terminal is an ideal solution. 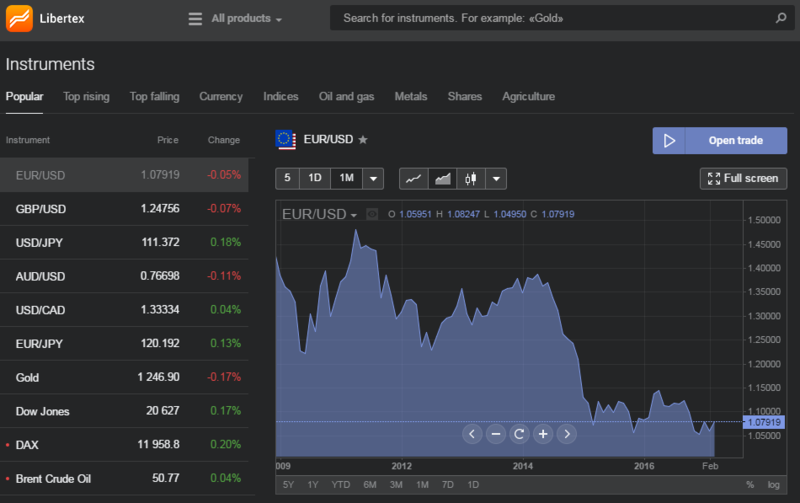 With this trading platform, you’ve got everything you need at hand: asset ratings, technical analysis tools, and breaking news. In addition, our web-based platform allows you to gain insight into our experts’ opinions and advice before you open a trade. Download our mobile app via the AndriodMarket or through the AppStore, and use our web platform via your favorite browser. Lets compare it to learning to drive a car. First of all you need to understand the basic theory, some terminology and the relationship between the clutch, accelerator and the gears. You need to know how to change direction, to stop and to go. You need to be able to use your indicators, your lights and your horn. You also need to practice before you head off onto the public streets. A similar approach can be used in learning to trade. You need to understand the terminology, how you manage your profit, limit your losses and the concept of multipliers. You need to gain some practice with the trading system. Once you have done the above you are ready to open your first live trade, using real money. Whilst it is good to test your first steps using a driving simulator, or by watching how to drive videos, nothing beats practicing with a real car. Practice with a real car will give you the insight, the confidence and skills to improve your driving. From our previous lessons, you’ve already learned the technical side of making trades. If you haven’t switched to a live account yet, it’s high time to do so! This is where you will get a real feel for the road. 1. Your first deposit should suffice for at least 20 to 30 trades. This number of trades will provide you with a basic level of experience. Please note that you need a minimum of $10 to open a trading position (it is a standard financial market requirement). 2. The larger your deposit, the more trades on various assets you can make. Trading several different assets simultaneously, known as diversification, is a risk mitigation tool. If some trades generate a loss, others may generate a profit to off-set your losses. If you’ve got $500 in your account, you can safely open 5 trades with different assets, investing $10 into each ($50=10% of your deposit). However, with just $100 in your account, these 5 trades will take up 50% of your deposit, which is a much higher level of risk. 3. The larger your deposit, the more trading strategies you can try, selecting the most profitable and safer ones that match your trading style. This is similar to the earlier point concerning the diversification of your portfolio through opening trades with multiple assets. One trading strategy can generate profit today, but may fail you tomorrow, whilst another one may fail you today, but work well in the future. Having a high account balance provides you with you the ability to diversify your trading assets and trade with less overall risk. Not all your eggs are in one basket. 4. The lower your account balance, the higher risks you take. It is proven that traders with account balances under $100 tend to use multiplier values that are too high, and whilst the potential to earn is higher, the potential to lose is also higher Conversely, large deposits from $5,000 help generate profit even with a low multiplier value. This way, you minimize your risks and keep your funds safe. We give this advice to all financial market traders. Follow it to succeed with Libertex. To start trading with real money and reap real profits, you’ll need to fund your account first. To do so, please follow these simple steps. If you are using Libertex Web you will need to switch from a demo account to a Real Account. Clicking Invest Real Money will take you to the deposit screen. You will be able to choose a payment method (Bank card for example) and will be able to enter an amount in the box provided. Once you are on the deposit screen, you simply choose you deposit method and enter an amount you wish to deposit. If it’s your first time funding your account, you’ll have to verify your identity. Just follow these simple steps to complete this process. Congratulations! Now you’re able to trade with a live account. Deposit now and start earning today! Each asset class has specific trading hours during which market participants are free to trade. Assets traded on stock exchanges are available for trading almost round the clock on weekdays, except for a few hours’ break. Weekends and major public holidays are days off. Currencies and precious metals are traded Monday through Friday intermission-free, while cryptocurrencies are available for trading 24/7. Such differences in trading hours depend on the individual schedules of major exchanges. As with traditional brick-and-mortar stores, you can’t go shopping if the store is closed. – Go to our website and find Contract Specifications for the asset class you’re interested in. Here you can get detailed info on trading hours and more. – In the Libertex platform, assets unavailable for trading are marked red, and the time left before the next trading session is shown. To effectively manage your time, select assets with trading hours that are most suitable for your time zone. Japanese Candlesticks are the best way to visualize asset price fluctuations. For instance, you have selected the EUR/USD currency pair and set a 1 hour time frame. In this case, a new candlestick will appear every hour and show how the price has changed during this 1 hour time frame. Here is an example of how a candlestick is formed. At the beginning of the hour, the asset price was at Point 1 – this is the open price. Then, influenced by certain economic events, the price went down to Point 2, and then up to Point 3. At the end of the hour, it stopped at Point 4, which became the close price. The area between the open price and the close price is called ‘Body’, and the vertical lines between the highest/ lowest price of the day and the body are called ‘Shadows’. A green candlestick indicates that the asset price has gone up in a given time period; a red candlestick means that the price has dropped. The candlestick technique helps build market forecasts and achieve gains by using specific trading strategies. Asset prices fluctuate constantly in the market. Traders may monitor these changes in real-time mode, eyes glued to their computer screens, or they may review them on a daily or even weekly basis, depending on their trading style. A time frame of a chart is a selected period of time showing the asset price changes within this period. Thus, if you select a one day (1D) time frame on a candlestick chart, a candlestick will form each day. To view the date the candle was generated, point your mouse cursor to the candle in question. In Libertex, you can select the following time frames: one minute (1M), five minutes (5M), one hour (1H), four hours (4H), one day (1D), one week (1W), and one month (1MN). For day trading, use 1M, 5M, and 1H time frames. For longer trades, it would be wiser to use 4H, 1D, or 1W time frames. Select a time frame based not only on the trading time but also on your account balance. 1H or longer time frame trades are more predictable and reliable than trades based on 1M or 5M time frames. However, the longer the time frame, the higher your account balance should be, in order to protect you from short term market fluctuations. The Market is constantly changing. That’s why traders sometimes play safe and invest small amounts, in order to mitigate risks. But what do you do when you have opened a trade in the right direction, but the trade amount is too little to generate maximal yield? In this case, you can use our Increase Trade Amount tool that allows you to put more money in any currently open trade. You have invested $1,000 in gold at 1193.88 in an uptrend and set your multiplier value at 10. At some point you see that you have identified the trend correctly and would like to increase your trade value, in order to generate a greater yield. – Enter the amount you want to add, for example, $1,000, and click OK.
You will see that your trade amount has been changed from $1,000, to $2,000. This feature helps you make additional profit, although it also increases your risks proportionally. To effectively trade in the market, you need to keep further re-investing your earnings. This is what helps achieve maximum profit. You can re-invest your earnings not only when you have already closed your trades, but also while your ‘in the money’ trades are still open. Now you can increase your profit without closing the trade. But forget the risk of making a loss if the trend changes direction. The term Trend refers to a general direction of the price of an asset. A trend can be ascending, descending, or flat. If the price is moving in a certain direction, trade in the same direction. It is always easier to go with the tide. This is one of the golden rules of successful trading. – If the price makes higher highs and higher lows, it is an ascending trend, and you should look for an opportunity to buy. – If the price makes lower highs and lower lows, it is a descending trend, and you should look for an opportunity to sell. – If neither is the case, it is a flat trend, and you can either buy or sell. To project the end of a trend, look at the support if the trend is ascending, and at the resistance if the trend is descending. Once the support or resistance is broken out, you can open trades in the breakout direction. Everyone knows what support and resistance levels are. For example, if you are buying a car, you’ll be looking for the lowest price within the same product range. And when selling a car, you would want to get the highest price possible. In this example, the minimum and maximum prices are your support and resistance levels, respectively. In financial trading, support and resistance levels are used for placing Stop Loss and Take Profit orders, as well as for capitalizing on support and resistance bounce and breakout strategies. When an asset’s price reaches the resistance level and retraces, it is a sure sign you should sell. When the price bounces from the support level, it means you should buy. This is how the bounce strategy works. If the price goes beyond support or resistance, traders apply the breakout strategy, on the expectation that the trend will continue. • Set Take Profit before the support/resistance level, and Stop Loss beyond the support/resistance level. Experienced traders have many tricks up their sleeve. A chart is an analytical tool that helps traders make decisions. Charts visually present combinations of asset price lows and highs. In the same way that you can use the constellations of Ursa Major and Ursa Minor to locate the North Star to allow you to navigate, charts help traders determine their targets based on the price fluctuations and set profit margins. To begin your chart pattern analysis, draw support and resistance lines, i.e., straight lines that connect the price respective lows and highs. – Measure the maximum distance between the support and the resistance lines in your chart. – Wait for a breakout in one of the lines. Open a trade in the same direction, with the profit target being equal to the distance you have measured. Along with charts, you can use so-called Japanese candlesticks. Candlestick pattern analysis helps pick the best time for every trade in financial markets. These reversal patterns apply to any asset and time frame, and every profitable trade requires the same steps to be completed. The Moving Average is one of the most popular mathematical analysis tools. It is quite simple to use and is calculated as an average asset price for a specific time period. Moving averages make trading easy. At the same time, they provide reliable trading signals when the price is trending. Please note that the MA strategy works best when the price is clearly trending, and may not work as expected when the price is ranging. To profit regardless of market conditions, you should use additional tools, such as oscillators. While trend trading is certainly very convenient, a clear trend cannot always be easily detected. So, what can be done instead? In such situations oscillators come in really handy. Oscillators are indicators effective when dealing with horizontal or sideways price movements. One of the most popular oscillator types is the stochastic oscillator that shows the current asset price against a past price range. 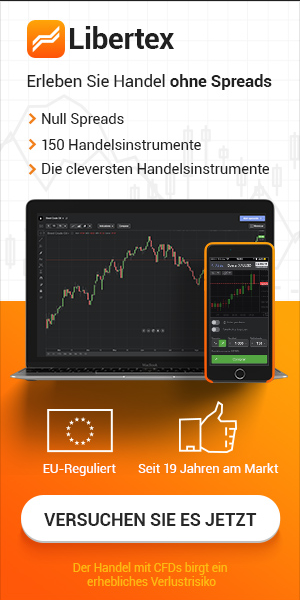 – Open an hourly chart of an asset, for example, EUR/USD. – Add a 5-3-3 Stochastic. This indicator has two zones: overbought, ranging from 80 to 100, and oversold, ranging from 0 to 20. – Open a buy trade when the oscillator leaves the oversold zone, and one of its lines is crossing the other one. – If the oscillator is out of the overbought zone and its lines are crossed as well but in a reverse direction, open a sell trade. You have to remember that oscillators alone are not sufficient for market analysis and should be used in conjunction with other tools, such as candlestick patterns or support and resistance levels. Trading the news is one of the most popular short-term investment strategies. Abrupt market developments and skyrocketing prices provide an excellent opportunity for making fantastic profits. Among the key types of news on financial markets is the USA employment situation summary that is usually published on the first working Friday of every month. Thirty minutes prior to the summary publication open a EUR/ USD currency pair chart. Set a buy pending order and a sell pending order, placing them respectively 0.2 cents above and below the current price. No matter which way the price moves, your trade will remain open. If both orders become active after the news release, you should close these positions and avoid taking any further steps. If only one trade opened, and you are ‘riding the wave’, wait for one hour to get the results and remove the other order. Financial markets are sensitive to global events that affect asset prices. Interpreting news and making the right decisions is not always easy. This is why many traders use analytics, or tips from experts in economics and finance that present news in an easy to understand way. To use our analytics, simply select your area of interest and subscribe to email notifications. You will turn into an expert at the push of a button! You will be emailed daily trading signals ready for immediate use. In addtion, our Periscope application for smartphones and tablets is available on the FXClubOfficial Channel. It will provide you video tips with detailed descriptions of trading signals and daily analytics. You will have instant access to information on market changes and money-making opportunities! Diversification is the distribution of capital that helps you minimize investment risks. Diversification is a trader’s safety cushion against selecting wrong assets or trading directions. You have probably heard the saying, “Don’t put all your eggs in one basket.” If you drop the basket, all the eggs will break but if you put eggs in several different baskets, and one basket falls down, this will not affect the other eggs in your other baskets. The same principle applies to investing in financial markets. If you invest all your money in one asset, and the price changes are not in your favor, you will incur a loss. By investing in different financial instruments, you prevent this from happening. Your loss generated by one asset may be compensated by profit from investing elsewhere. You can diversify not only assets or trading instruments, but also markets, trading systems, and regions! Diversification is a cornerstone of portfolio theory and the “buy and hold” strategy that will be discussed in detail in another lesson. Another financial markets trading principle is that of “buy and hold”. The idea is to buy an asset and hold it for a maximum period of time. The higher the asset’s price gets, the greater your return. This strategy is widely used in the real estate market, when people invest in houses and apartments. But what do you do if the property price doesn’t go up? How do you mitigate your risks? In this case, even if the price of one asset goes down, the profit from your other investments will compensate it. – the longer you hold your portfolio, the higher your chances for good return. Emotions may be hard to exclude from the trading process, even if you are already familiar with the difference between mock and live trading. So, how do you control your emotional state while trading? As we all know, flying an airplane is a very stressful job involving serious responsibility. However, pilots have checklists specifically designed to help them deal with emergencies. The purpose of a checklist is for a pilot to stay focused, organized, and to avoid panic. Pilot checklists are one of the reasons air travel is the safest transportation mode today. Traders need their checklists too. You will require a trading plan or system which addresses all possible market development scenarios and steps you should take. • break down into each stage the entire process of making your trading decisions. • Try to predict all possible scenarios, both favorable and adverse. • Determine your target profit and maximum admissible risk levels, at which you will close the trade. Such a detailed checklist will help you deal with two main emotions of any trader – fear and greed. Your trading will become more profitable and much less stressful. In everyday life, we all try to make more money while keeping our spendings under strict control. Financial market professionals call it capital management. Managing money is like driving a car: at first, whilst we are still learning, we drive slowly to make sure we fully control the situation. With greater experience we drive faster as we have more skill. However, despite our higher speed, we are still in control and will feel at ease despite the faster speed. • Use the 1 multiplier value for your first trades – this will minimize your risks. • As you become more experienced, increase the multiplier value. Make sure your trade amounts are such that you never lose more than 2% of your capital. • Set your Stop Loss and Take Profit values so that your return to risk ratio is always 2 to 1 or greater. In this way, you will keep making money even if the number of your unsuccessful trades exceeds the number of your profitable ones. Observe these rules and watch your money grow! A trading system is a set of rules and guidelines for making trading decisions. By now you should know enough to implement a systematic approach. Review everything you have learned in our lessons and create your own trading system. You can combine different methods of analysis, but you need not use them all. Remember: the simpler a trading system, the better it works! You can also use ready-made trading systems developed by our Academy experts. These systems offer high yields and low risks, and more importantly, they have been tested over time in real trading environment. Regardless of what you decide to do, keep practicing using your live account. You will not make any profit unless you actually trade! Start trading with the multiplier value of 1, so that even if your trading system is not perfect and errors do occur, you will still save your money for further successful trades. Jump at opportunities markets offer, try different approaches, test trading signals, and you will eventually find your own unique way to make money on financial markets.